Adoption Covenant has a long standing collaboration with an agency accredited by the Russian government. 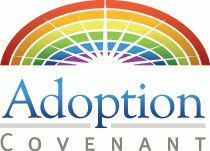 Through this collaboration, Adoption Covenant will provide assistance with all that takes places in your adoption on the U.S. side, including dossier preparation and authentication. The accredited agency will approve each family and provide services overseas. Adoption Covenant will be available to you while you are overseas and assist you to make your adoption process as smooth as possible. You will have the benefit of Adoption Covenant assistance through all steps of the process. Both boys and girls are available at ten months and older. Most children are healthy, but some have special needs. Single people and married couples may adopt. Couples should be married at least one year. Previously divorced individuals may also adopt. Individual considerations can be discussed with your agency representative. Married couples and singles should be at least 25 years old. The length of your stay will depend upon the specific region in which your child is located. Most regions are two-trip regions, in which only one parent is required to travel the first time to meet the child, with the second trip requiring both parents travel and appear in court to finalize the adoption. No limitation regarding children in the home. The majority of parents are able to complete their adoption in 9-12 months for boys or 12-18 months for girls. However, the timeframe for any adoption depends on several factors, including how quickly you are able to complete your paperwork, the region your child is in, and how fast you receive INS approval.